Can the war in Syria be nearing an end? 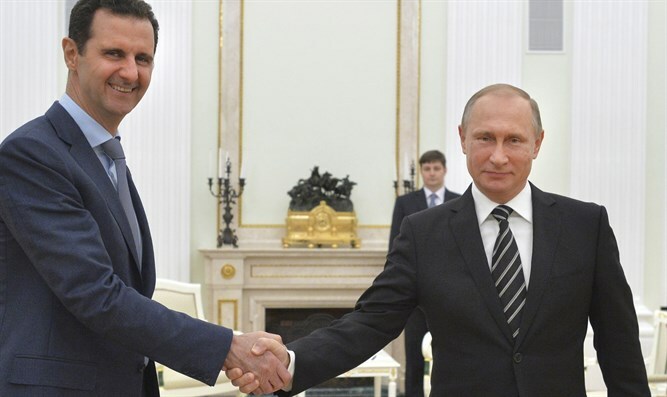 President Assad accepts US-Russian joint plan of pathway to end the conflict, but opposition unsure. The landmark deal, reached after marathon talks in Geneva Friday, could also lead to the first joint military operations by Moscow and Washington against jihadists. But even as diplomats touted the agreement as a path to peace, a barrage of air strikes on the northwestern city of Idlib killed 24 people and wounded dozens. The Syrian Observatory for Human Rights said it was not immediately clear who carried out the raids, and said some bodies "were burned beyond recognition". Citing "informed sources", it said, "the entire agreement was reached with the knowledge of the Syrian government". The opposition High Negotiations Committee (HNC) said it had yet to receive the deal's "official text", however. "We are waiting for Russia to persuade the regime that it is necessary to commit to this agreement," she told AFP. Both Kerry and Lavrov said the complex plan is the best chance to end the five-year war that has killed 290,000 people and seen millions flee to neighbouring countries. A "demilitarised zone" would be established around the Castello Road leading into the battered second city of Aleppo so desperately needed aid can be delivered. If a cessation of hostilities holds for one week, the US and Russia - which back opposing sides in the war - could start joint operations against those jihadists. Lavrov said Washington and Moscow agreed on zones in which joint "strikes against terrorists" would be conducted. The HNC's Kodmani said the rebels would break ranks with the jihadists if the truce held. "The moderate groups will reorganise and distance themselves from the radical groups. We will do our part," she said. Syria expert Charles Lister said mainstream opposition fighters had not indicated a willingness to break their alliance with powerful hardliners, which they see as "a military necessity". The Observatory said that in addition to the 24 dead, at least 90 were wounded in the raids on various neighbourhoods of Idlib city, including a market. An AFP photographer in Idlib saw men clambering over rubble, in just slippers or sandals, to help evacuate wounded and dust-covered residents from a collapsing building. Others tried to lift a bloodied shopper who had collapsed on the ground as a fire raged in an open-air clothes market. A UN-backed truce agreed in February has been repeatedly broken by both sides. The final hours of the US-Russia talks in Geneva dragged out as Kerry contacted the White House to get approval for the plan, but the top diplomat said both governments stand by it. British Foreign Minister Boris Johnson welcomed the deal but said it was "vital that the regime in Damascus now delivers on its obligations". Key rebel backer Turkey also backed the deal, adding that it was essential that the fighting stop and aid start flowing from day one of the ceasefire. UN Syria envoy Staffan de Mistura said that the deal provided a "window of opportunity" and that he would begin consultations on a relaunch of peace talks. German Foreign Minister Frank-Walter Steinmeier said: "Everything now depends on rapid implementation." The truce deal follows heavy fighting around Aleppo in recent weeks during which the rebels fought unsuccessfully to break the government siege.